Contact: Omar Arias at 212.839.7175 or bigjump@dot.nyc.gov. Please provide advance notice for accessibility accommodations. 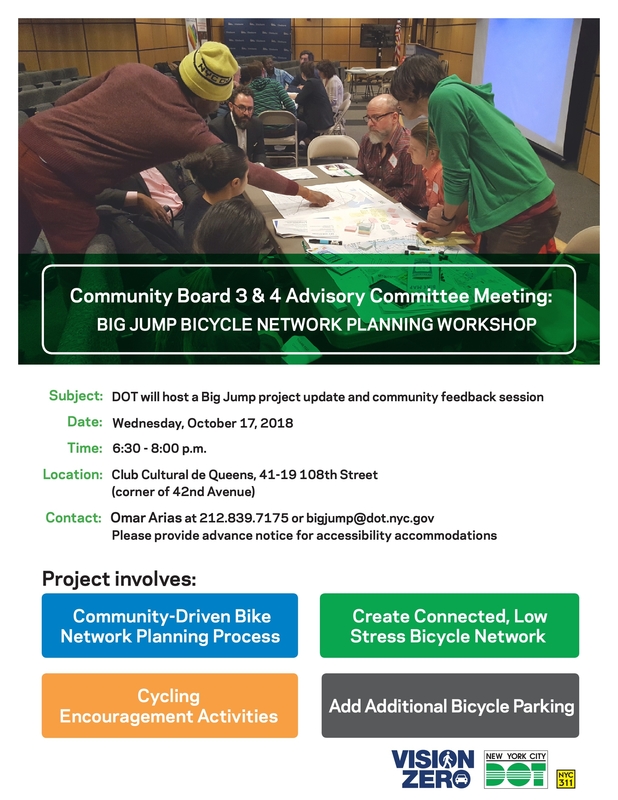 The Big Jump, a three-year sustained community engagement and planning project with the goals of improving street safety in line with Vision Zero, improving community outreach, and increasing bicycle ridership in Elmhurst, Jackson Heights, East Elmhurst, and Corona.